In the market for a new minivan for your family road trip out of Anoka? Then come to Cornerstone Auto in Elk River and get behind the wheel of the new Dodge Grand Caravan. With 140.3 cubic feet of cargo space that’s versatile and innovative, including the in-floor storage bins, you’ll find no shortage of space. The new Grand Caravan has a range of advanced technologies, from the Garmin® navigation system to Uconnect® infotainment and a rear seat entertainment system. Make the trip from Ramsey and see everything it has to offer! 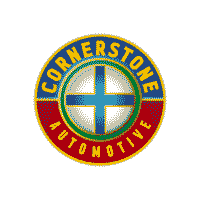 Find the Perfect Minivan for Sale Near at Cornerstone Auto! Check out the new Dodge Grand Caravan and our new CDJR lineup near Monticello at Cornerstone Auto, where you’ll experience the exclusive benefits of the Cornerstone Commitment. We offer flexible and competitive financing and lease rates, our experienced staff will find the right fit and competitive rate for your financial needs. Our dealership is open for sales Monday through Saturday, and you can contact us to find out more anytime!